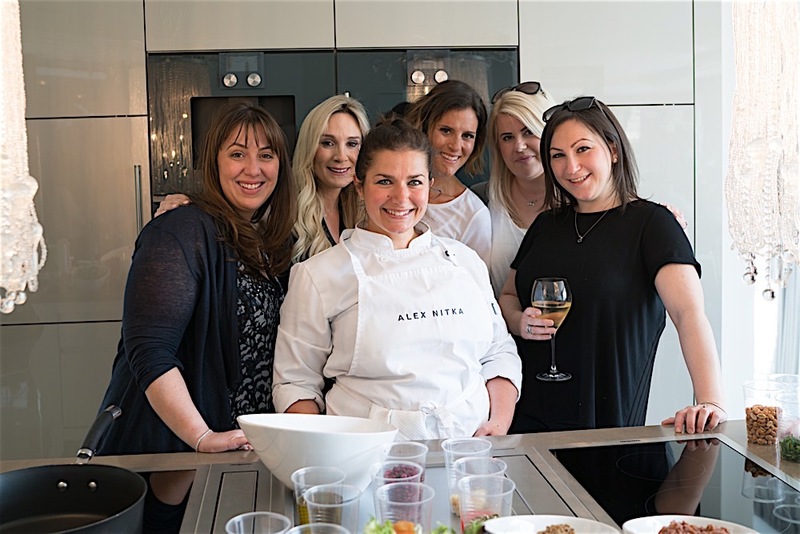 Young Fight For Life held our first event with private chef Alex Nitka where she held a teach and eat morning, hosted by our committee member Chantal Craig. It was an excellent day learning how to fillet fish, cook the perfect sea bass, along with making a number of summer salads including flaked salmon and Thai beef. The girls from Mews London had a stand full of jewellery to sell along with Tracey Cahn’s candles. Special thanks to Cousins catering, Andrea from The Flower Lounge and Patricia Barres at HOB in Elstree. We hope to host another of Alex’s fantastic teaching sessions again very soon! Please get in touch with us if your interested in attending our next event. For more images from this event please click here.